For their part, Alty will again wear the J Davidson logo emblazoned on the front of their shirts, and one of non-League football’s best-known venues will continue to be known as The J Davidson Stadium. At J Davidson, we’re proud to do whatever we can to support the local sporting community. We’re always on the hunt for talented teams and individuals to sponsor, so where better to start, than right here on home turf? On the day of the announcement, Grahame said: “It’s great news that we have been able to reach an agreement with J Davidson and extend a long-standing relationship that is clearly beneficial to both parties. It is for a substantial amount, and I’m delighted we can look forward to another two years together. “Now, the hope is that others might follow their lead and help us achieve our aims, on and off the pitch. We are right in the middle of the local community and are actively looking t0 do even more to involve people with the club. “More fun weeks for kids and a new disabled football team are just two of the many projects we are working on, but these things need funding. We can’t continue expanding activities without the help and support of local companies. Never one to miss a slice of the action, our very own Luke Davidson was also in attendance. He said on the day: “It is a big commitment for us, one of our biggest, but we are delighted to have extended it. We take everything into account before making a decision like this, and it’s clear we get plenty out of it, in terms of getting our name out there and generating extra business. “We have certainly found it worthwhile, and I’m sure others would. 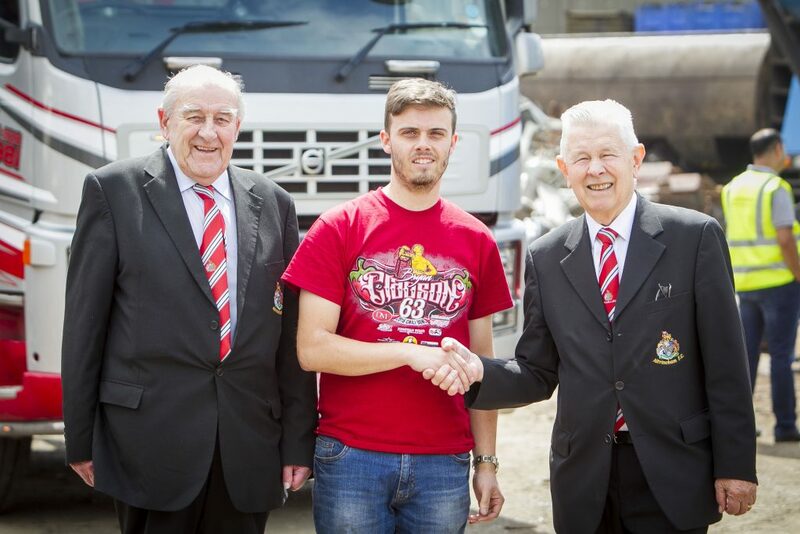 It raises your profile, and as an Altrincham company, run by a family who are all from the town, it’s great to see the club doing so much for the community. ‘We managed to get to a few games last season, and even when we couldn’t, we’d all be on our computers, laptops, phones, or whatever, checking the score. The club means a lot to us.” Hear, hear! We look forward to making it to more games this year, and want to wish the boys the very best of luck for the upcoming season! This article was posted in Altrincham FC, News. Bookmark the permalink. Follow comments with the RSS feed for this post.Both comments and trackbacks are closed.